Republicans went to war with one another over the idea of disclosing dark money. But they probably needn't bother. Gov. 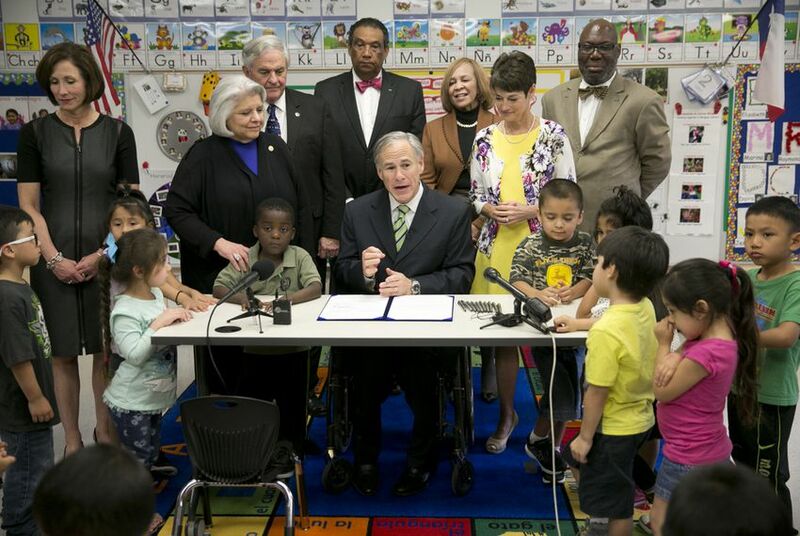 Greg Abbott told reporters Monday that he thinks the idea is unconstitutional. Proponents of shining a light on it disagree. Abbott stopped short of saying that he would've vetoed a dark money disclosure bill if it had reached his desk, but his opposition makes any such legislation a remote possibility. Opposition from influential conservative groups that use dark money to fund their campaign activities hasn't helped the pro-disclosure crowd much, either. Independent groups that are involved in elections but refuse to disclose their donors — generally organized as politically active nonprofits — have funneled hundreds of millions of dollars in secret contributions into federal elections alone in recent years in the United States, according to figures by the nonpartisan Center for Responsive Politics. Abbott aides did not respond to inquiries about what ruling he was talking about, but in 1998 Abbott wrote in a decision for the majority that Bay Area Citizens Against Lawsuit Abuse did not have to identify its contributors. However, the state of Utah, after a dark money scandal brought down that state’s attorney general, passed a law that requires such independent groups active in campaigns to disclose their donors, according to published reports. And the oft-discussed U.S. Supreme Court case widely known as Citizens United, which upended limits on donations by labor unions and corporations, actually keeps the door wide open to laws that require disclosure of campaign activity by those same groups, some experts say. Ciara Torres-Spelliscy, assistant professor at the Stetson University College of Law, wrote in a 2011 scholarly paper that Citizens United and another landmark case known as Doe v. Reed give “considerable leeway” for legislators to require disclosure of money used to influence elections. However, he knows enough about that to predict there will not be a special session of the Legislature. Lawmakers meet in regular session for 140 days every odd-numbered year, but the governor can call an unlimited number of 30-day special sessions. “Legislators are going home today, and I do not anticipate them coming back until 2017,” Abbott said. That was music to the ears of some lawmakers, who got used to repeated special sessions under former Gov. Rick Perry.